It’s finally here! Guilds of Ravnica limited is upon us and there is nothing more exciting than the start of a new draft environment. The air smells sweeter. The coffee tastes better. The possibilities are endless. Well, that’s usually the case. In the world of GRN, things are a bit more restricted. Not only are there half as many supported color pairs as we usually find in a limited set due to the five guilds, but the word on the street is that Green is the weak link in the chain and should be avoided at all costs. 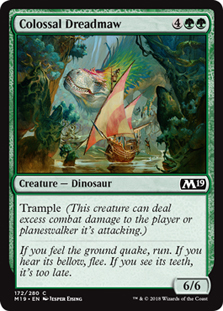 This week, I’m going to explore Green’s role in GRN and find out if it's true. Green has always felt in some ways like it got picked last for gym class. 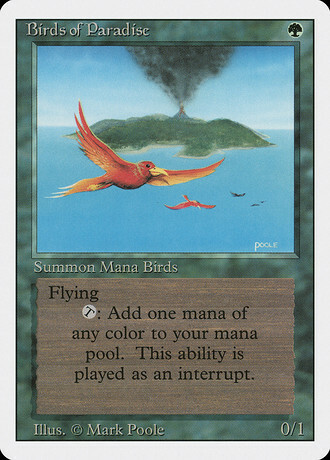 It’s hard to remember a format where green was the best color in the set. It rarely gets access to evasive threats and the fight variants that it relies on for removal are very hit or miss. Green is known for being large and in charge. Being able to get a lot of power and toughness on board for an affordable rate is what Green does best. But with the shift away from powerful spells towards powerful creatures, It seems like Green isn’t the only one with beef on the menu. Look at Baloth Gorger vs. Keldon Raider or Rampaging Cyclops from Dominaria, Vigilant Baloth vs. Gearsmith Guardian from M19, and Rosemane Centaur vs. Douser of Lights in GRN. It seems like everyone’s taking a bite out of Green’s slice of the color pie these days. In recent sets, Green’s ability to ramp and fix has been its shining feature in my opinion. Llanowar Elves and Druid of the Cowl allowed green decks to get to their powerful four and five drop creatures a turn sooner, and Grow from the Ashes and Oasis Ritualist made four and five color green decks one of the better options is those respective formats. While GRN does give green a suite of mana fixing, it’s less unique than in other sets due to the presence of a single guildgate in each pack. And there is not a mana dork to be found among green’s commons or uncommons. In fact, Green seems to have come up short in every respect in terms of raw power level at the non-rare slot. When looking at a set for limited, I go straight to the commons and uncommons. Sure, flashy rares are fun and all, but the real consistency of a limited deck isn’t found there, it’s with the other 13 cards in the booster. Green’s commons just do not stack up well with the rest of the cards in this set. Siege Wurm, a reprint from original Ravnica, is head and shoulders above the rest. The creatures in this format are incredibly small. Over half of the common and uncommon creatures have toughness two or less, so a 5/5 with trample is big game. Though, not so big, as Douser of Lights or Citywatch Sphinx are both close enough that the Wurm doesn’t feel like it’s going to be the biggest thing on the table all the time. Green’s fight spell, Prey Upon, is the simplest we’ve seen of this effect. Cheap, sorcery speed, no power or toughness boost. That last point is one of the reasons this card is so poorly positioned in this set. In a format where most everything is a 2/2 and a 3/3, it’s really hard to be able to set up a fight where you're both targeting something relevant and your creature doesn’t die as well. The amount of high power / low toughness creatures in Boros adds to the awkwardness of this card. Green’s other commons don’t excite much at all. A couple of random bears in Ironshell Beetle and Devkarin Dissident. An overcosted cantrip in Generous Stray. An underpowered spider in Hitchclaw Recluse. Even the pump spell seems expensive in the convoke Giant Growth that is Pack’s Favor. The meager offerings in Green are compounded by the fact that its two guild mechanics, Convoke and Undergrowth, seem to be the least supported in the set. Convoke’s power in the past came from cards that created multiple bodies like Triplicate Spirits or Scatter the Seeds. The best we have in GRN is Sworn Companions, which I think may secretly be better in Mentor decks. Selesnya seems to have an akward tension between wanting to attack with the early board presence you’ve created and wanting to use that board presence to tap out for a single threat, which can backfire with the abundance of good removal out there. For Golgari, there are plenty of cards that care about the number of creatures in your graveyard, but not a lot that help you get them there. Glowspore Shaman has some heavy lifting to do, unless you count Surveil as well. 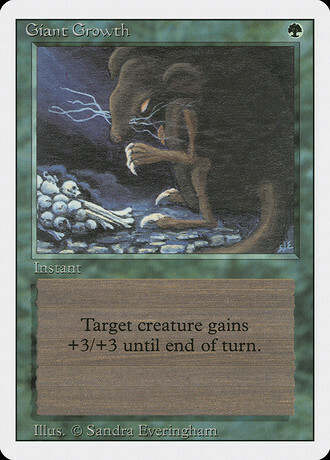 but it’s not often that I’m going to look at the top card of my library, see that it’s a creature, and decide to bin it. All this paints Green in a fairly poor light. However, I still don't believe we are in Battle For Zendikar territory where green was absolutely unplayable. In the Discord Channel for my podcast, Lords of Limited, there have been many trophies this week with green decks. If you are the only Selesnya or Golgari drafter at your table, you can be rewarded handsomely depending on the number of guild specific rares and uncommons opened in your draft. I also think Green has the ability to facilitate entry into a powerful 3-5 color deck with Urban Utopia, District Guide, and Circuitous Route. Vigorspore Wurm has proven to be a surprisingly tough to deal with creature (bonus points if you grant it Menace with Swarm Guildmage to make it unblockable), and I have seen Portcullis Vine be a solid roleplayer in either guild, helping Convoke out spells early and then be cashed in for a card to serve as fuel for Undergrowth. It’s still early in the format and there’s plenty of room for exploration. Even though Green may be the weakest color in the set, if your seat hands you a deck like this, you just may be on the path to your next trophy!